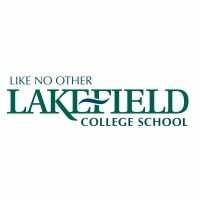 Organizational Overview: Founded in 1879, Lakefield College School is a leader among Ontario’s independent boarding and day schools and prides itself on its reputation for innovative teaching and academic excellence. LCS is a coeducational high school committed to bringing out the best in each of its members and offers a boarding school experience designed to maximize the education of the whole student – academically, socially, emotionally and physically. A rigorous academic program prepares our high school students for university. Our spectacular campus located just 1.5 hours northeast of Toronto, allows students to enjoy a variety of sports, an enriching cocurricular program and allows our faculty to offer experiential learning opportunities across the curriculum. Lakefield College School has a proud 136-year history of educating some of Canada’s finest young men and women. Our graduates go on to successful careers in all aspects of business, politics, social services, academia and the arts. We are particularly proud to have been the alma mater for His Royal Highness The Duke of York, His Majesty King Felipe VI of Spain and, in the past 10 years, four Rhodes Scholars. 1.Serve as a contributing member of the school’s Program Team, working collaboratively with other Program Area Leaders to strengthen our curricular and co-curricular programs as directed by our Strategic Plan. 2.Build and support strong curricular and co-curricular alignment across courses and program areas, including a well-documented and thoroughly understood skills ladder for the program area that provides details that are not included in the Ontario Curriculum Policy documents. in order to ensure all LCS students are able to embrace a holistic learning experience in mind, body and spirit. 3.Maintain regular communication with Program Assistant Heads on the activities of the program area: outstanding achievements of students and staff, professional development needs as it pertains to curriculum, future recommendations for curricular and co-curricular changes and current program area concerns. 4.Collaborate with counterparts from other program areas and Values Advocates in the continued pursuit of greater program integration. 5.Recommend to and consult with the Program Assistant Heads on faculty assignments of team members, timetables, and workloads. 6.Ensure that team goals, policies and procedures uphold the spirit and intent of the school-wide ones. 7.Submit, and be responsible in maintaining accurate program area course outlines on an annual basis. 8.Work closely with the Library Technician, Edtech Director and others to ensure that resources serve the needs of the program area team. 1.Assist, and mentor team, particularly new members, in all aspects of their responsibilities (curricular and co-curricular). Assume supervision of direct reports as of the 2019/2020 school year. 2.Promote communication amongst team by participating in ongoing collegial discussions, leading Program Area meetings and coordinating regular informal professional development. 3.Build a strong professional learning community amongst team. 4.Provide information regularly to fellow team members on opportunities for program area related professional development and encourage pursuit of such opportunities. 5.Review all non-term evaluations being used in the program area. 6.Demonstrate fiscal responsibility by effectively managing the financial resources allocated through budget approvals. Invite team members to participate in decisions regarding the team budget. 7.Oversee program area equipment, resources and facilities. 9.With support from Program Assistant Heads, identify, assess and mitigate operational risks within program area. 10.Follow-up with students and their advisors regarding initial concerns about student behaviour and report on-going concerns to the Program Assistant Heads. All teaching (planning, instruction, assessment, report card comments) associated with having these students complete a half-credit course in Careers. Supporting students in their individual application process to post-secondary institutions (researching choices, completing applications and supplements, scholarship applications, letters of reference, etc. ), including US and international institutions. Regular communication with parents about application process. Assume other guidance responsibilities, including course selections/changes; teaching of Careers course, organizing events, assisting with OSR preparation, and other assignments as required. Teaching one section of a credit course and assuming full-load of co-curricular responsibilities. Coordinate and manage evening support programs and external tutoring. Specialist Qualifications or Master’s Degree in Guidance or Learning Support. Extensive high school guidance counsellor experience that includes supporting students with university applications. Ability to relate well to students, parents, and colleagues. Demonstrated leadership and organizational skills as well as an enthusiastic commitment to the ideals of the school’s mission and values. Current certificate from the Ontario College of Teachers. Minimum of two years of recent, pertinent teaching experience is an asset. Athletic or Artistic coaching experience at a high level (certifications) is an asset. Strong leadership, planning, organizational, decision-making, and communication skills. Able to engage students, assisting them with tasks and helping them succeed. Three-year term with the opportunity for renewal for an additional 1 to 2 years. How to Apply: Please complete your profile and submit your resume information through the Careers Section of our website no later than May 21, 2018. Please Note: LCS is committed to providing accommodation for persons with disabilities. Please visit our Accessibility page for further details or contact our Human Resources department, [email protected], for any information in an alternate format. While we appreciate all applications, we can only contact those individuals selected for interviews.